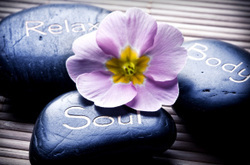 Enjoy a wonderful, relaxing and harmonizing session of Reiki. A treatment feels like a wonderful glowing radiance that flows through and around you. Reiki treats the whole person including body, emotions, mind and spirit creating many beneficial effects that include relaxation and feelings of peace, security and well-being. Many have reported miraculous results. Reiki (pronounced ray-key) is a natural, safe and gentle healing modality that utilizes the laying on of hands. Reiki is a Universal Life Force Energy and the Reiki Practitioner is able to tap into an unlimited supply of this energy and channels it to the client to create spiritual, mental and physical well-being. Historically, many cultures around the world have had the knowledge and wisdom that energy flows through all living organisms. In recent years, studies by scientists and medical doctors have documented this form of energy and its role in the body’s innate healing process and immune system functioning. Reiki is not a substitute for medical treatment but is complementary with these treatments. Reiki healing can promote balance, harmony and well-being for people on physical, emotional, mental and spiritual levels. Reiki allows the energy to move harmoniously along the meridian lines for increased well being. The energy can also be channeled into specific body locations and energy centers to alleviate negative symptoms and return your body to a more balanced and healthful state.